Founded in 1987, the university has 4 campuses located in and around The Hague with about 23,000 students from more than 150 countries. 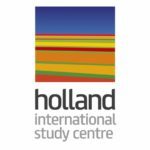 The Hague University of Applied Science is a research based university with research groups in areas such as global citizenship, public administration and urban environments, economics, leadership and entrepreneurship. The Hague University of Applied Sciences is ranked 29th in the Netherlands by the Ranking Web of Universities 2018. The University also clinched awards such as the Sports Innovation Prizes.